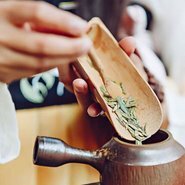 Celebrate the Lunar New Year with a traditional tea ceremony performed by a tea master and special guests from Topotea. Tea is central in Asian culture, especially in China where it originated and flourished. Drop by the entrance court to learn about the history, etiquette and traditions and experience the art of tea, with live Chinese music. Part of the City of Sydney 2018 Chinese New Year Festival, celebrating the Lunar New Year.